​Almost all children have times when their behavior veers out of control. They may speed about in constant motion, make noise nonstop, refuse to wait their turn, and crash into everything around them. At other times they may drift as if in a daydream, unable to pay attention or finish what they start. These children often have trouble getting along with siblings and other children at school, at home, and in other settings. Those who have trouble paying attention usually have trouble learning. An impulsive nature may put them in actual physical danger. Because children with ADHD have difficulty controlling this behavior, they may be labeled "bad kids" or "space cadets." 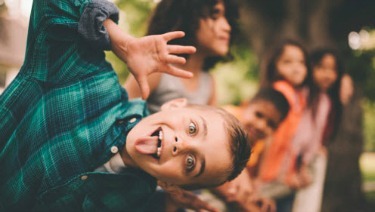 Left untreated, ADHD in some children will continue to cause ­serious, lifelong ­problems, such as poor grades in school, run-ins with the law, failed relationships, and the inability to keep a job. Effective treatment is available. If your child has ADHD, your pedia­trician can offer a long-term treatment plan to help your child lead a happy and healthy life. As a parent, you have a very important role in this treatment. ADHD is a condition of the brain that makes it difficult for children to control their behavior. It is one of the most common chronic con­ditions of childhood. It affects 4% to 12% of school-aged children. ADHD is diagnosed in about 3 times more boys than girls. Are there any problems with learning that you or your child's ­teachers have seen?